A pilot project designed to test a nutrient removal system for dairy and swine manure found the system capable of removing up to 85 percent of phosphorus from manure, a key contributor the nutrient runoff that causes algal blooms. The project was spearheaded by Ag Solutions in partnership with KDS Separation, Chemtron, and InNow Water & Environmental Services, Katharos Scientific, LLC, and a local farmer. 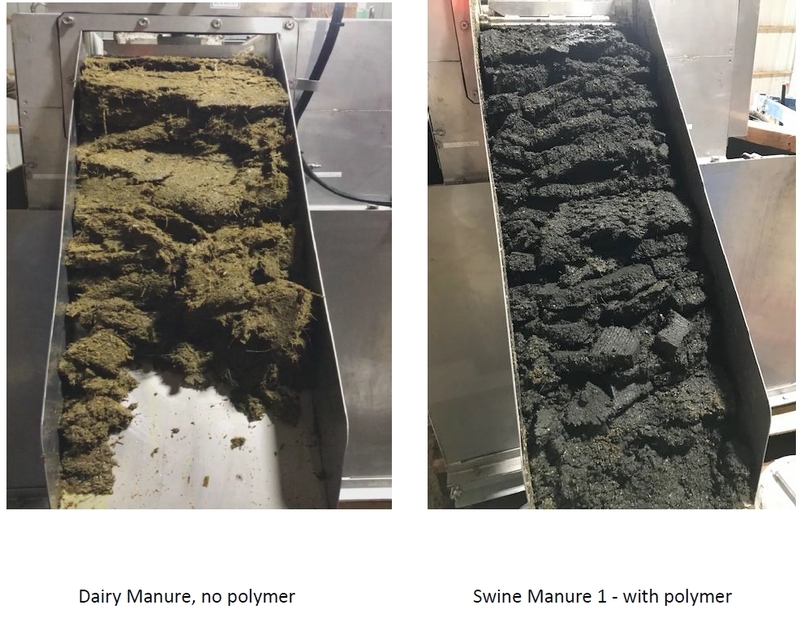 We were able to remove up to 85% of the phosphorus in swine manure and up to 71% of the phosphorus in dairy manure. The use of polymer was necessary to achieve these removal rates with the KDS Separator. The percentage of phosphorus removed is retained in the solids, with an average moisture content around 80%. The solids are certainly stackable and would compost well if a carbon source were to be added. The operation of the KDS unit requires very little power, and is estimated to cost approximately $0.0003 per gallon. The polymer than adds somewhere between $0.0075 to $0.015 per gallon to the cost. The capital cost of the KDS separator is cheaper than most other separation units currently available on the market. The KDS separator would pair well with another technology, assuming costs can remain low enough to remain economically feasible. Another pilot project is ongoing with a secondary technology. Results will likely be available in June.